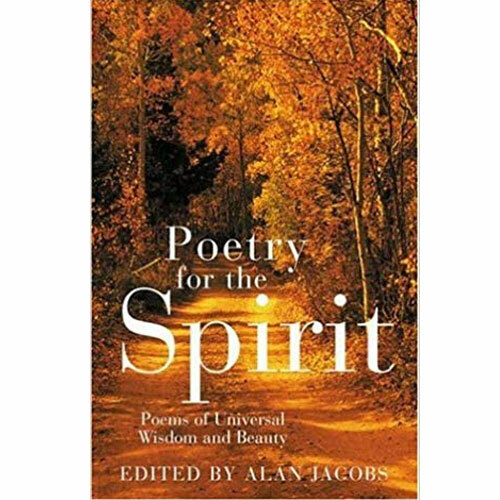 Minimum quantity for "Poetry For The Spirit" is 1. Alan Jacobs is Distinguished Professor of Humanities in the Honors Program at Baylor University in Waco, Texas. His most recent books are How to Think: A Survival Guide for a World at Odds (Currency, 2017) and The Year of Our Lord 1943: Christian Humanism in a Time of Crisis (Oxford UP, 2018). His next book, Breaking Bread with the Dead: The Case for Temporal Bandwidth, will be published by Penguin Press in 2020. Other books include The Book of Common Prayer: A Biography and a critical edition of Auden’s The Age of Anxiety (both Princeton University Press, 2013). Before coming to Baylor, Dr. Alan Jacobs was Clyde S. Kilby Chair and Professor of English at Wheaton College (Illinois) since 1984. He is a graduate of the University of Alabama and received his PhD. from the University of Virginia. 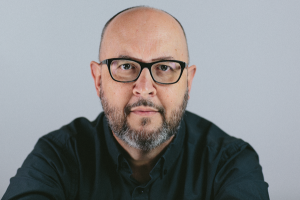 Dr. Jacobs teaches theology and literary theory for the Honors Program, a field in which his prolific authorship has established him as a leading scholar. His books include: The Book of Common Prayer: A Biography (2013); W. H. Auden, For the Time Being: A Christmas Oratorio (2013, edited) ; W. H. Auden, The Age of Anxiety: a Baroque Eclogue (2011, edited) ; The Pleasures of Reading in an Age of Distraction (2011) ; Wayfaring: Essays Pleasant and Unpleasant (2010) ; Sin: A Cultural History (2009) ; Looking Before and After: Testimony and the Christian Life (2008) ; The Narnian: The Life and Imagination of C.S. Lewis (2006) ; Shaming the Devil: Essays in Truthtelling (2004) ; A Theology of Reading: The Hermeneutics of Love (2001) ; A Visit to Vanity Fair: Moral Essays on the Present Age (2001) ; What Became of Wystan: Change and Continuity in Auden’s Poetry (1998). ; Must Christianity be Violent? Reflections on History, Practice, and Theology, ed. with Kenneth R. Chase (2003).